What are the best car rentals in New Zealand for families? Picking the perfect rental car and rental company is the first step to having a smooth family holiday. With New Zealand’s impressive range of car rental companies, you’re bound to find the perfect car for you and your family even if the options are a bit overwhelming. Luckily, we have put together this quick comparative list of the best family car rentals in New Zealand! When searching for family-friendly cars to hire in New Zealand, look for cars with enough space for the whole family and your luggage. It’s also worth looking out for free inclusions, like baby or child seats, as well as vehicles where these seats are compatible. This not only gives you peace of mind for your family’s safety, it also helps keep to your budget! For more tips on travelling New Zealand in a family rental car, see Travel By Car in New Zealand: The Ultimate Guide. Location: Look at your itinerary and where you want to start and end your trip in New Zealand and choose a car rental company with depots in those locations convenient to you. To keep the costs down, try to start and end your trip in the same location to avoid one-way fees (or choose a company that doesn’t charge one-way fees). Additionally, always check if the company is charging a fair “premium location fee” which is usually added if picking up from an airport depot. Prices and inclusions: The base price of car rental fluctuates with the seasons. In summer, daily rates are at their most expensive, while they are at their cheapest in winter. 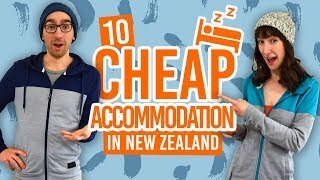 Read our 20 Ways To Save Money on Car Rental in New Zealand to see when the best time to rent a car usually is. Additionally, to truly understand the value of your rental you need to compare what’s included in a car rental. Not all companies include the same thing, especially when it comes to insurance. Vehicles offered: Most car rental companies in New Zealand will maintain even their oldest cars to the highest standards, however a more modern vehicle is less likely to give you any problems, so keep vehicle age in mind. You also need to find a car type that meets your needs. By the way, have you seen our The Best Family Campervan Rentals in New Zealand? Not only is the Ace Rental Cars fleet full of new and late-model cars, providing more safety for your family, they often have some great family deals on their website! Look out for the “Free Child Seat” deal at certain times of the year, for instance. They also have a huge range of pick-up/drop-off locations (at no extra one-way costs), giving your family holiday full flexibility! There is a premium location fee for airport depots but this is minimal. Courtesy shuttle available to and from airport and airport depots between during normal working hours. Pick-Up/Drop-Off Locations: Auckland City, Auckland Airport, Wellington Airport, Picton, Christchurch Airport, Dunedin Airport and Queenstown Airport. Starting your New Zealand family holiday in Christchurch? Consider choosing McDonald’s Rental Cars with a fleet of relatively late-model cars that are great for family travel. Plus, free baby seats are available on request! We like that they are a family business that operate on a personal level – quotes and information for your rental can be obtained by contacting them directly. Courtesy shuttle available within Christchurch (accommodations, airport, etc.) to and from the rental depot. Pick-Up/Drop-off Location: Christchurch, Picton, Wellington, Rotorua and Auckland. Vehicle age range: 5 to 6 years old. Free insurance with NZ$2000 excess and bond to pay for 21+ year old driver. Included in Omega Rental Cars’ fleet are some very family-friendly models, like their “Premium Family Wagon” and “Family SUV”, which have plenty of space for kids, luggage and even two sets of ISOFIX points and three anchor points for children’s car seats. On top of that, you have great flexibility with so many pick-up and drop-off locations and no one-way charges. They even give you the option to change rental vehicles in Wellington and Picton to reduce ferry costs. Definitely consider Omega if you are travelling both islands! Pick-Up/Drop-Off Locations: Auckland City, Auckland Aiport, Wellington (Thorndon), Wellington Airport, Picton, Nelson, Blenheim, Christchurch (Lichfield Street), Christchurch Airport, Queenstown (Shotover Street), and Queenstown Airport. Great value-for-money can be found with ANZED Rentals. They have a generous offering of inclusions to make your family holiday a little more easy-going, including free baby/child seats and free phone rental (Of course, you will need to pay for the credit you use on the phone). ANZED are based in Christchurch, which is ideal for South Island road trips. Small cars, large cars, station wagons, 4WD and people carriers. Free insurance with NZ$1200 excess for 25+ year old driver or NZ$2000 excess for 21-24 year old driver or NZ$3000 if under 21 years old. Or insurance add-ons for NZ$10 per day with less excess and bond to pay. Learn more about age restrictions in Age Restrictions When Renting a Vehicle in New Zealand. With 22 locations around New Zealand, Europcar is a great option if you want to start your New Zealand family road trip somewhere a little bit different. Plus, they have newer therefore safer cars for your family’s peace of mind. The best options for family car hire with Europcar is from their SUV collection, with plenty of space for large and small families. They also have a good selection of children’s seats to hire. Courtesy shuttle available to and from airport and rental depots. Pick-Up/Drop-off Locations: Auckland, Auckland Airport, Whangarei Airport, Mt Maunganui, Tauranga, Rotorua, Napier, New Plymouth, Palmerston North, Wellington Airport, Picton, Blenheim, Nelson, Christchurch Airport, Greymouth, Hokitika, Queenstown Airport, Invercargill, . Small cars, medium cars, sedans, SUVs, mini vans, “luxury” cars, vans and trucks. Free insurance with NZ$3700 excess or insurance add-ons for NZ$35-$40 per day with less excess and bond to pay. (Some models may require a bond to be paid).